VIGOR’s Car Frames are designed having as priority their Easy Installation, and following a Rigid, Torsion-Resistant, Low Noise & Anti-Vibration design for offering a comfortable ride. They are Full Galvanized as standard, but could be epoxy or prime painted upon customer’s request. They utilize plastic or cast iron pulleys, European manufacturers’ safety gears and special anti-vibration guide liners – or guide rollers upon requirement. VIGOR is a technically oriented industrial company, specialized in lift designing and manufacturing. 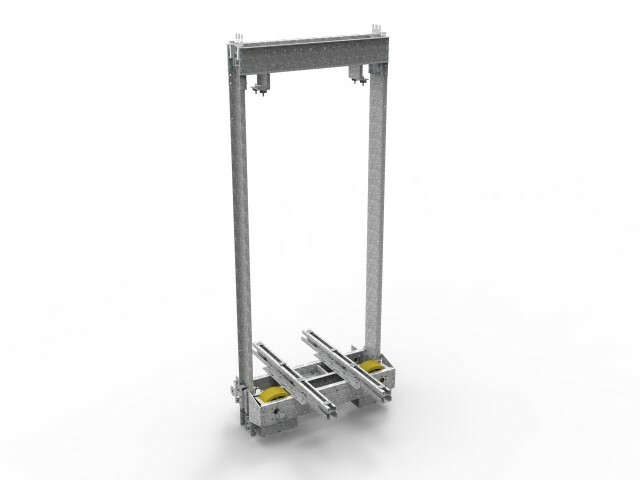 It was founded by a team of mechanical and electrical engineers with long experience in Elevator Business with its main focus being to provide reliable, easy-to-install and operate, products to its customers. Vigor has established and maintains a Quality Management System that is in conformance with the International Standard ISO 9001:2015. Its purpose is the continuous upgrading of the company procedures aiming to the customer's satisfaction improvement. The Quality Management System includes the organizational structure and processes, documented procedures and means required for the implementation of the Quality Management. It ensures the auditing of all processes of the company, either internal or delegated to third parties. Although Sales Department is often considered to stop after the product has been shipped, this is more than often wrong. After Sales Service is a key player in a company, as it provides a powerful tool to keep Customers satisfied and make them feel secured. Continuous and prompt After Sales Service is a major advantage of a manufacturer that needs to have direct communication with the installation teams. We currently have English, German and Russian speaking After Sales Technicians that can guide installers through any question asked.